The distinctive Matcha tea is unique in that the whole aged and dried leaf is ground into a powdered form and used in this form for drinking and eating, rather than the brewed leaf in water. Matcha meaning “powdered tea” is nutrient dense with its own smoother green tea flavour and multitude of health giving properties. 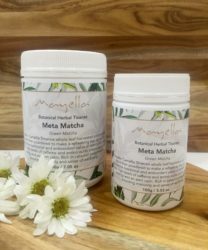 Our Meta Matcha is an infusion of Certified Organic Camellia Sinensis whole leaf – harvested, carefully dried then powdered to make a remedial tea experience where every sip is pure bliss. Green tea is a traditional tea enjoyed daily by millions around the world. The one plant, Camellia Sinensis, provides the leaf for green, black or white teas. The method of farming, harvesting, drying, preparing the leaf decides what tea is the end result. The distinctive Matcha tea is unique in that the whole aged and dried leaf is ground into a powdered form and used in this form for drinking and eating, rather than the brewed leaf in water. As a whole leaf, Mayella ® Meta Matcha delivers a concentrate of nutrients with quite a distinctive taste. For preparation of Matcha tea, the plant is covered with shade cloth when growing a few weeks prior to harvest to encourage the plants to shoot larger, thinner leaves with more flavour. When ready, the youngest, smaller leaves are harvested by hand, lightly steamed then dried to prevent fermentation, packed in bales and cold stored to age and deepen the flavour, much like wine! Matcha meaning “powdered tea” is nutrient dense with its own smoother green tea flavour and multitude of health giving properties. 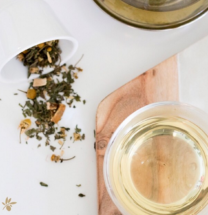 Up to 10 times the nutritional and antioxidant value of standard green tea. Naturally high levels of caffeine and amino acids together create balanced energy and an alert calm. Particularly rich in catechin polyphenols boosting immunity and sense of wellbeing. Camellia Sinensis was first cultivated in China and India and farmed as a crop for production of tea. The technique of grinding tea by stone to a powder for consumption was first used in China for centuries. A Japanese Zen priest who spent time in China, brought the tradition to Japan in 1191, taking tea seeds and the knowledge of how to grow, process and drink the tea with him. With Korea embracing the methodology of Matcha as a tea to be enjoyed and appreciated also. 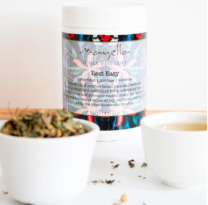 Eventually each culture evolving over time, their own tradition of farming methods, ceremony and enjoyment of this delightfully refreshing and energising tea. Mayella ® Meta Matcha – The word Meta meaning & referring to the positive effects Mayella ® Matcha has on the metabolism. 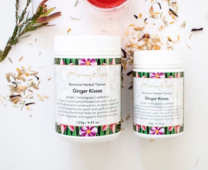 Metabolic function is enhanced naturally without negative side effects or stressors, when enjoying the daily consumption of Mayella ® Meta Matcha as a Tea, Latte or in a Smoothie, and within raw foods. As a tea: Add 2-3 grams powdered Mayella ® Meta Matcha to 1 cup or tea pot of hot water, mix together, stirring in well. Add honey or slice of lemon if desired. As a Matcha Latte: Add 2-3 grams powdered Meta Matcha to 1/4 cup hot water – approx 70 degrees for water temp to avoid “cooking” and overheating enzymes and the naturally high levels of antioxidants. Mix in well. Heat milk of choice – soy, cow, almond or coconut, and pour into Matcha & hot water. Add honey to taste and a sprinkle of cinnamon and pinch of nutmeg over milk crema if desired. 100% Organic powdered Chinese Camellia Sinensis leaf is the distinctive Matcha tea. Unique in that the whole aged and dried leaf is ground into a powdered form and used in this way for drinking and eating, rather than the brewed leaf in water. Matcha – naturally high caffeine levels for increased metabolic function and energy, antioxidant rich & polyphenols are detoxifying, antiaging.